Stockton Mine was like any other anthracite mine in northeastern PA until one early morning in 1869, when some of the ground above the mine suddenly collapsed. A few homes were swallowed up, and nobody inside had time to escape. The rift kept growing, and the buildings that fell into the mine were buried almost as instantly as they had fallen. Rescue was just about impossible; there was no way to get close with the ground continuing to sink. A few bodies were recovered, but many were not. 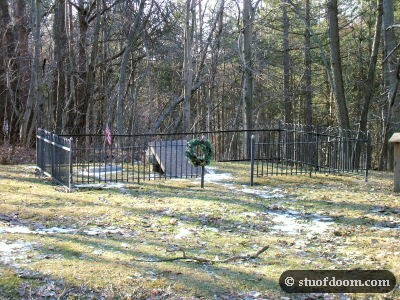 Today, a memorial which also serves as a gravestone marks the site of the disaster and names the people who are still buried there. One was a Civil War veteran. I try to put flower’s on the grave when I can.Today I put mums on the grave,sept 15, 2009,May they all rest in peace. 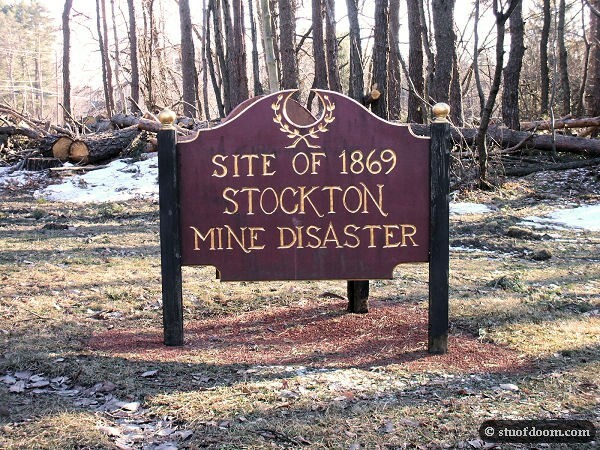 We, at the Greater Hazleton Rails to Trails, have embarked on a renovation project at the Stockton Mine Disaster site. We have plans to make it a spur link to the regular portion of the Trail. We are planning on expanding the area of the site, moving an old post office to the site and erecting an informational diorama type display re. the disaster. We are in the process of looking for articles published at the time of the disaster or feature articles re. the disaster. Any contributions would be appreciated. dguydish@hazletonchamber.org. 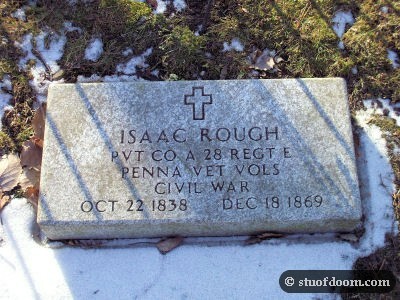 Isaac Rough was the brother of my gg grandfather, George Henry Rough. All of the victims were related to me, either by blood or by marriage. The tragedy of the cave-in haunts me to this day. God bless you for the photos, and for your care and reverence for the site! 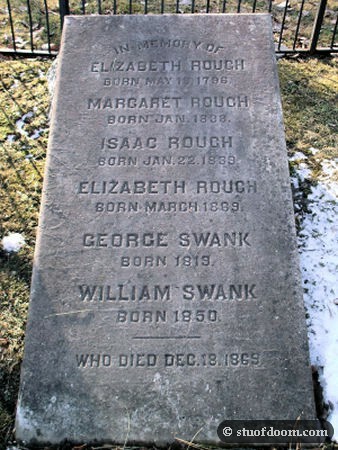 Elizabeth Rough, born 1796, was my great, great, great, great grandmother. I visited the site once in the mid 80s but was traveling with friends and did not get to stay as long as I wanted to. I am excited about the proposed renovation and museum and hope to come back. It’s a long trip from East Tennessee, but something keeps calling me back. My g grandfather was killed when the Archbald pothold collapsed yet I can find his name no where. 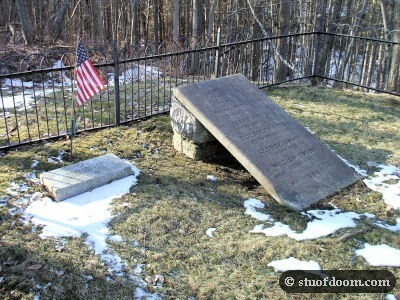 If you have ever heard of William Thomas Flint would you please post anything you know. Thank you! 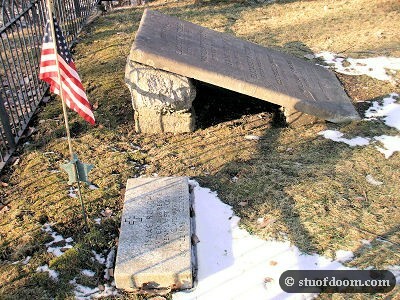 I can’t understand why a historical marker was never placed at the site, especially when a Civil War vet had been buried there.